CEP Certified Equity Professionals were able to obtain continuing education credits for attendance at this event. Please consult the CEPI website for further information on calculating CEP credit. For more information please contact our offices at +1 (714) 630-2908 or GEOinfo@globalequity.org. Certified Public Accountants were able to earn a maximum of 9 CPE credits. The fields of study typically included in the Annual Conference are Accounting, Business Law, Business Management and Organization, Communications & Marketing, Economics, Finance, Information Technology, Personal Development, Personnel/HR, Specialized Knowledge, and Taxes. Program levels for sessions are designated in each workshop description with the notation I for basic, II for intermediate and III for advanced. Sessions designated as basic (I) have no prerequisites. These sessions are designed for individuals new to equity compensation or those with limited experience. Intermediate sessions (II) build upon information discussed in the basic program. These sessions are suited for individuals with between three and five years' experience in equity compensation or commensurate education. Advanced sessions (III) are most useful for individuals with more than five years of experience in equity compensation or commensurate education. These sessions focus on the development of in-depth or specialized knowledge. Sessions for individuals with a wide range of experience are designated with the appropriate combination of levels. The instructional method is group live and there is no required advanced preparation. The Global Equity Organization is registered with the National Association of State Boards of Accountancy (NASBA) as a sponsor of continuing professional education on the National Registry of CPE Sponsors. State boards of accountancy have final authority on the acceptance of individual courses for CPE credit. 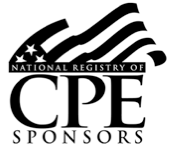 Complaints regarding registered sponsors may be submitted to the National Registry of CPE Sponsors. GEO's 2017 NECF qualified for recertification credit for the Certified Compensation Professional® (CCP®), Certified Benefits Professional® (CBP), Global Remuneration Professional (GRP®), Work-Life Certified Professional® (WLCP®), Certified Sales Compensation Professional (CSCP)®, Certified Executive Compensation Professional (CECP)®, Advanced Certified Compensation Professional (ACCP)™ and Master Certified Compensation Professional (MCCP)™ designations granted by WorldatWork Society of Certified Professionals. For more information on recertification, visit the WorldatWork Society recertification webpage at http://www.worldatworksociety.org/recertification.